All mothers need a big hug and a 'thank you' on Mother's Day. Not wanting to brag, but my husband did a superb job this year. Besides our plans for a lie-in being foiled by Timothy choosing to rip up DVD case inserts in the lounge which resulted in people being told off and crying before breakfast time, the rest of the day was lovely! My husband must've given a great deal of thought to the gift, either that or he's got a winning formula which I'd be happy for him repeat annually, a BIG box of chocolates (fabulous! 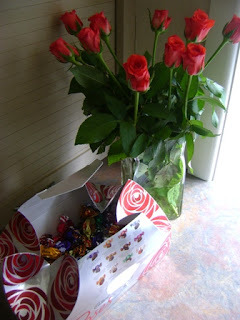 ), a bunch of roses, the latest book in a series he knows I've read (with an exchange card), smellies, a bag of lollies, a fab container for putting my knitting in and best of all a beautiful card with nice stuff written inside. WOW!! He is definitely a keeper... what a star you are Blair! Oh my gosh, your knitting is amazing and so gorgeous! I love it and will be back. So far my skills extend to plain stitch scarves or blankets! Yep you've got a beaut there! Good on you Blair! 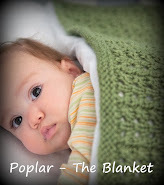 The arrival of my first child saw me take a break from primary teaching and pick up my knitting needles again, which led into pattern designing. 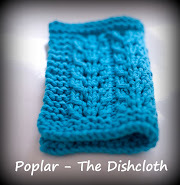 I aim to write patterns that are easy to read as well as simple to knit. Welcome!